In this scenario, you start up with a special blueprint including JDBC property variables, and Cloudbreak replaces JDBC-related property variables in the blueprint. 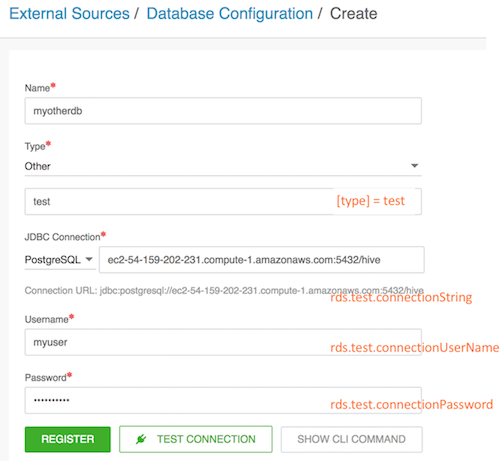 Create a cluster by using your custom blueprint and by attaching the external database configuration. Upon cluster create, Cloudbreak replaces JDBC-related property variables in the blueprint.